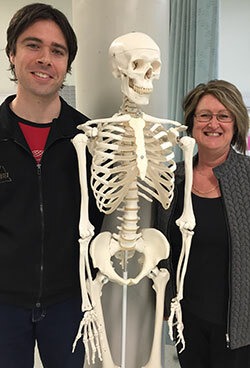 Long-time sim patients at SRH Churchill, Andrew and Alison. Simulated patients are an important part of medical teaching and examinations, playing the role of patients. They are generally volunteers who are well people trained to take on the role of patients for exams and clinical training. Presenting the same role to a student for examination and diagnosis is important for exam consistency. Sim patients represent a range of ages and are drawn from local communities close to our teaching sites. Each site aims to have a registry of sim patients of all ages who can be called on to fill roles. What is involved in becoming a sim patient for the School of Rural Health Bendigo? You can choose to have as much or as little involvement as you like! If you are interested in becoming a simulated patient, please contact the coordinator, Pam Harvey by phone (03 5440 9083) or email pam.harvey@monash.edu. If you would like to become a simulated patient, please contact Susan Smith by phone: (03 9902 7280) or email susan.smith@monash.edu.